Matthew’s Hope, serving our homeless friends in West Orange County, is open today and in desparate need of bug spray, backpacks, men’s sneakers, and tents. They are also low on small waist men’s jeans. If you are able, please grab a little or a lot of these items and drop them off at 1450 Daniels Road in Winter Garden (on the campus of the Church of Christ of West Orange). THANKS!!! Here are the highlights from this month’s Church of West Orange mtg. Hope to see you at the next mtg Aug 3rd!!! Hey guys and gals! So grateful to be the church together and to be learning more and more what that means. Praying we will commit to sow for unity and mission together and keep learning the ways of Jesus’ Kingdom here on earth as it is in heaven. May this coming fall and winter be seasons of sowing into each other and our community like we never have before!!! If you were able to make it out this past Thursday night to watch the Orlando Freedom, a Florida Summer Collegiate Baseball team, then you probably enjoyed a great game and endured some typical Orlando summer weather. 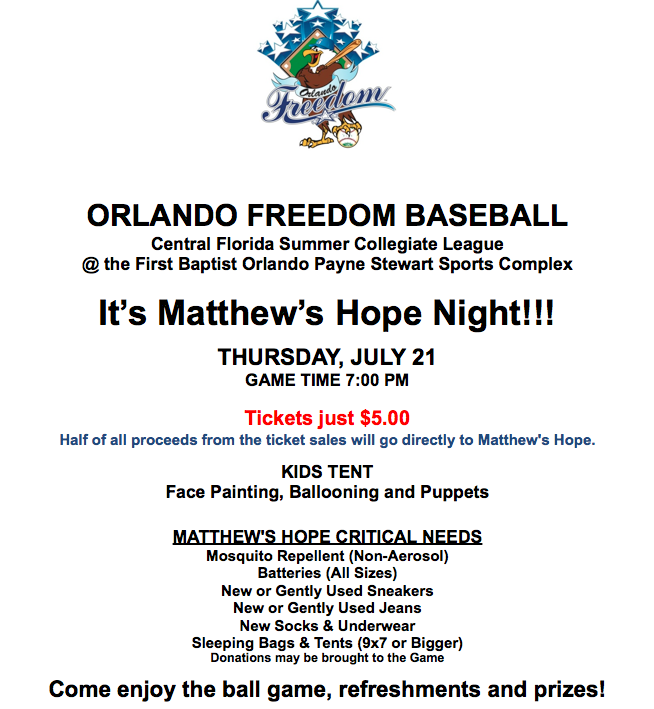 Grateful for the benefit game and Orlando Freedom’s heart to support Matthew’s Hope!!! CLICK HERE to check out more about Matthew’s Hope. volunteer to pack and deliver backpacks. This year, over 15,000 backpacks will be provided to 54 local schools. WOW!!! Grateful to WALMART and Disney and other organizations along with partnering local church expressions who help to make the ministry happen! Contact Joe Hembrooke at 407.292.3559 for more details or CLICK HERE to visit their website. Joe asked us to mention that they hold a fundraiser concert each year featuring the singing group “425.” This year, the event is on September 24th at Olympia High School at 2pm and 8pm. $10 to $20 per ticket for a reserved seat. 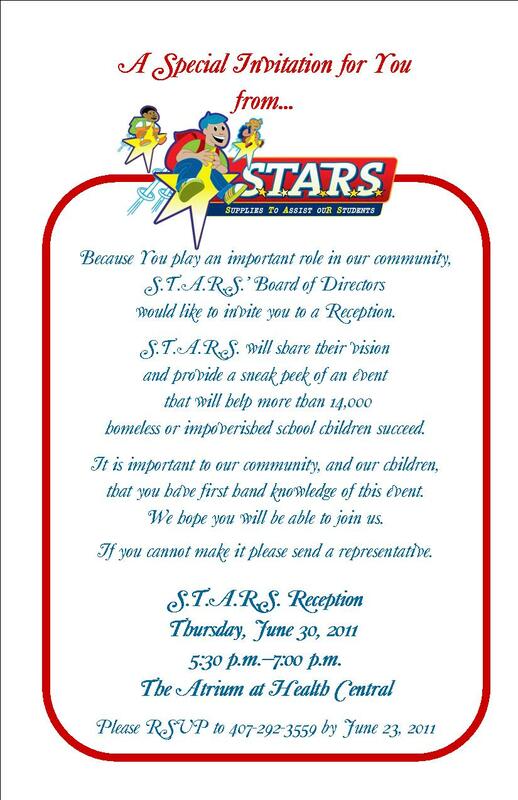 Check out the STARS website for details. Chad Nykamp was with us again sharing about Go and Do the Same’s efforts to encourage and unite the Church of West Orange in one of our global focuses – the orphans and families of Chapa, Ethiopia. THE WELL WE ALL WORKED TOGETHER TO SUPPORT TO HAVE BUILT SHOULD BE FULLY COMPLETED BY END OF AUGUST!!!!! Chad shared that 28 of 150 kids are currently sponsored. Their goal is to see all 150 currently available for sponsorship sponsored by the end of 2012. Chad and his wife Cindy are more than willing to come to your Sunday gathering or other global mission emphasis gathering to share for five to ten minutes about what’s going on in Chapa. Please email them if you are interested. Along with our global focus for the Dominican Republic, this is such a great opportunity to unite as one community to serve another community. Al Rowe with Belhaven University visited with us to let us know of their desire to connect with and serve local churches and service organizations here in Orlando Metro. They have many networking contacts and meeting places and are willing to support the Church of West Orange however we can dream up to partner together! Contact Al Rowe via email or by phone at 407.804.1424 x1103. Sean with Crossings looks to email each of us an access code and instructions for a new $5900 online community platform donated for the Church of West Orange’s use for better communication together. It is interfaced with Facebook and Twitter and other social media sites. Sean said we will try to get everyone on it and then hold a few nights of training. It will be a great tool for both our relationship with each other as the Church Of West Orange but also for the various relationships growing within our local church expressions. Be looking for more details! Guy and Wade with the Total Freedom Program came to share with us about their 90 day, 6 month, or 9 month discipling and freedom program right here in Ocoee. They invited us to meet at their facility one month this fall. We will let you know when! You can read more about all they are doing at True Ministries Church, Water for Life Program, or simply send them an email. Julie with Hope Counseling mentioned some upcoming Parenting Seminars for families in the community. We will get you the dates as they become available. Please be aware of Julie’s family counseling ministry if you are not already. You can email her or call her at 407.758.5693. Anthony with Finding the Lost Sheep Ministries shared that he is looking to buy a large tent for their local inner-city ministries. The tent is 40 x 60 and runs at about $7000. If you can help, please email Anthony. Charlene Sears Tolbert was visiting with us from Evans Community School. She is coordinating their effort to create a “hub” for community services that will serve and support Evans Community School families and other families in the area, including health clinics, counseling centers, and the like. She asked for prayer and volunteers. If you would like more information please call her at 407.782.0873 (cell) or 407.522.3400, x2965 (office) or email her. Kevin Adams visited with us for the first time and is pastor of the new local church expression called Kirkman Community Church, focused to be the church to families on the east side of Kirkman Road in the Metro West area. You can find out more about them on their website. Cindy with SASHA (safe and sober housing alternative) shared that they have found the house they are hoping to get into now. They are praying for about $25K to help make the transition happen and asked if we would be praying with them. Sean said it well – that we need to be praying for $250K, too, believing God for it, that they might simply purchase the house outright!!! May we pray in this way together. OUR NEXT MEETING IS AUGUST 3RD from 9:30 to 11:00 at House Blend Cafe. Hope to see you there as we continue to pray for one another and for our community, encourage one another as we grow in unity, and leave to give ourselves away together in West Orange County and beyond. So grateful to be learning and living the ways of Jesus together. May the coming months bring more life together and deeper unity. Please join us for “Laugh together. Give together.” to ROFL & to support Matthew’s Hope!!! 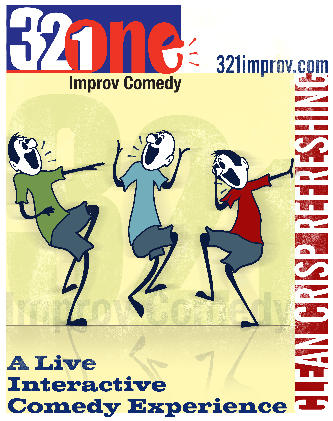 Come laugh together with www.theChurchofWestOrange.com as we enjoy the Improv comedy of www.321Improv.com and support www.MatthewsHopeMinistries.org. All net proceeds will be given to support the Matthew’s Hope ministry as they give themselves away into our homeless friends here in West Orange County, with specific assistance for families with children. Hope to see you there! Please RSVP on our Facebook Event Page if you are on Facebook AND share the event with your friends!!! How will you serve families as they prepare for the new school year? Most of you know that at the beginning of each school year, many of us as local church expressions help to provide school supplies for families who might otherwise not be able to get what they need. It is always a well-received assistance, and this year we are highlighting three options for which to assist. We ask that you choose one and partner well and really knock it out of the park with your support!!! In partnership with The Igleisa De Dios Pentecostal MI, Next Community Church, and Matthew’s Hope, school supplies and other items are collected and distributed to families on AUGUST 20TH from noon to 4pm. Last year, 300 backpacks were filled with school supplies and given along with haircuts, physicals (provided by Centra Care), perishable items, free food vouchers (from Chick-Fil-A & Panera Bread), free tutoring, and more. CONTACT Daniel Hernandez, the Community Event Coordinator for IDDMI-Church of God Winter Garden about the “Back to School Bash Winter Garden 2011” by phone at 407.285.9745. Partner with this longstanding organization to assist impoverished school children with school supplies at the various public schools in the area. There will be a reception Thursday, June 30th from 5:30pm to 7pm in the Atrium at Health Central hospital that details the coming effort. Please attend if interested. 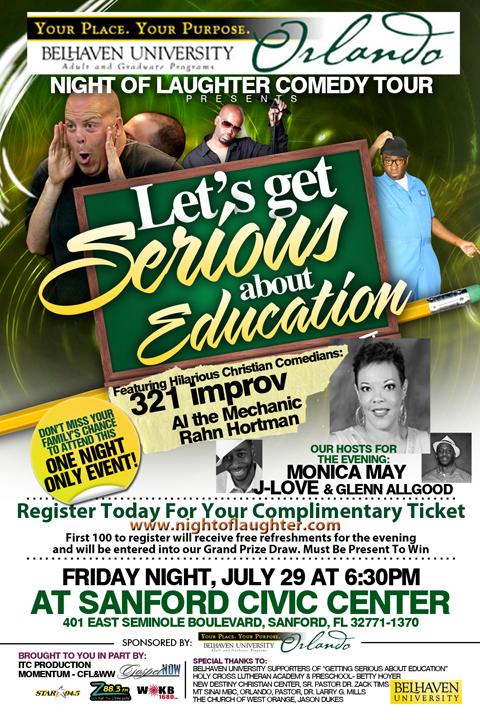 RSVP to 407.292.3559 by June 23rd. Several church families are collecting for school kids in the Maxey Elementary community. Please contact Kensington Church if interested. There you go! It’s gonna be a great start to another school year. Now in the meantime, forget all this talk about the next school year and enjoy the ending of this last one! Hope you have a great summer!!! PS: Next Church of West Orange mtg is July 6th from 9:30am to 11am at the HOUSE BLEND CAFE. Hope to see you there! our next COWO mtg is June 1st from 9:30 to 11. So very grateful to be planting the Gospel and watering it with love together in our community. Praying that we will be more and more obedient to Jesus’ desire for the unity of His body in West Orange County and beyond!